MainAll NewsInside IsraelWhat happened to the suspicions against the 'Joint List'? Over six months ago the State Attorney submitted to Legal Advisor findings raising suspicion of criminal activity in Joint List campaign. 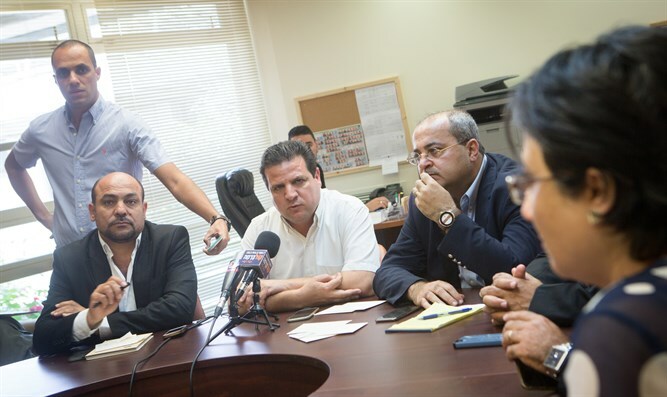 The State Comptroller's Report on the Election Campaign for the Twentieth Knesset revealed particularly grave findings regarding the financial conduct of the "Joint List", a political alliance of four Arab-dominated parties in Israel - Hadash, the United Arab List, Balad, and Ta'al. They are the third largest faction in the 20th Knesset. The report raised a number of financial irregularities in the party, but two central suspicions were particularly prominent in the report. The first suspicion relates to recording excessive fuel expenses for transporting voters on election day, raising suspicions that this was not a real expense. The second suspicion relates to lease contracts for the party headquarters, for which an auditor's examination raised the suspicion that some of them were not authentic. The Comptroller passed all suspicious findings, both those exposed in the report and things that were not disclosed, to the Attorney General, who in turn passed them on to the State Comptroller. According to law, the Attorney General must notify the State Comptroller and the State Control Committee within six months of the fate of the information and in what manner he intends to deal with it. However, the Lavi civil rights organization which is closely monitoring the affair notes that, as far as they know, despite the fact that six months have elapsed, the Attorney General has not yet given notice of the matter as required by law. Arutz Sheva contacted the Attorney General's office to clarify whether the Attorney General gave a statement and what was said in it. The Justice Ministry said in response, "Naturally, we do not discuss the taking of criminal measures or requests from the State Comptroller's Office regarding suspicions of criminal activity, and this does not confirm or deny the taking of steps or the receipt of information." The State Control Committee also chose not to address the issue.